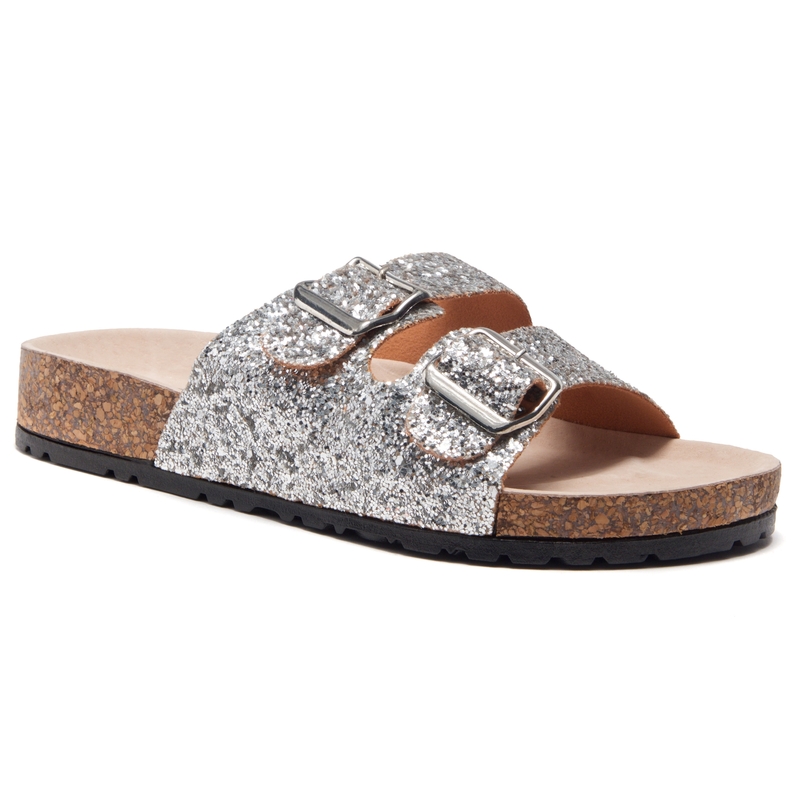 This open toe slide sandal features a dual band straps with buckles accent, Glitter Details, cork midsole, and leather foot bed. 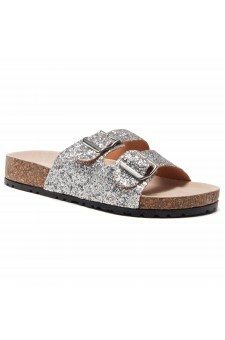 Easy slip-on style. Available in Black, GreenGold,White,Rose gold and Silver.